Everyone who knows anything about Marquette fiction knows the name of Carroll Watson Rankin, but do you know about Holly Wilson, author of The Hundred Steps? Holly Wilson in 1966. The photo is taken from a Ferris State University yearbook. Wilson taught in the English Department at Ferris State. 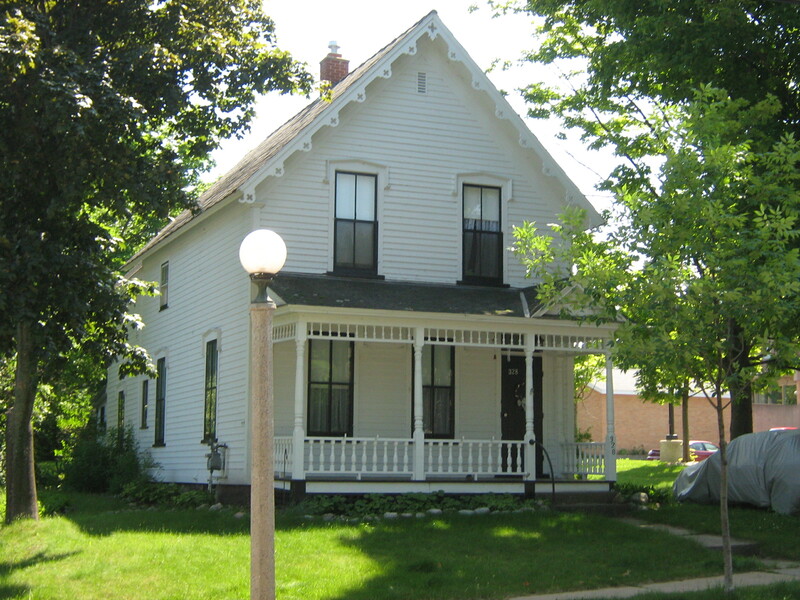 Author Holly Wilson (Helen Finnegan Wilson) was born in Duluth, Minnesota, but after her father died, her mother, sister, she came to Marquette to live with her grandmother at 328 E. Arch Street. Wilson grew up ice skating on Lake Superior, playing on Arch Street, and devouring books at the Peter White Public Library. She stated, “I began writing as soon as I knew what a pencil and paper were for.” While a college student, she wrote an adult novel The King Pin, which received the highest award in the Avery and Julie Hopwood Awards Contest in fiction. Wilson married her husband, psychiatrist Frederic W. Wilson, while they were students at the University of Michigan. After her daughters Mary and Anne were born, she continued to write when they napped, and when they were older, she often took them to Marquette to visit their grandmother. While they explored the lakeshore and bluff, Holly Wilson entertained her daughters with stories about her childhood on Arch Street which resulted in her writing her young adult novel Deborah Todd (1955) about the title character and her friends who make up the Arch Street gang. The novel is set in Henry’s Bend, a fictional and thinly-disguised version of Marquette which also makes mention of the Hundred Steps. Snowbound in Hidden Valley (1957) was written because Wilson explained, “When I was a little girl in northern Michigan, we once had a Big Blizzard that we talked about for years. The entire Upper Peninsula of Michigan was snowed under and we were cut off from civilization for more than a week.” Although not a sequel, the main character, Jo Shannon, just happens to live next door to Doc Todd, father to Deborah Todd, the title character of Wilson’s earlier novel. Jo befriends Onota Leroy, an Indian classmate, and while visiting her in Hidden Valley, she not only learns Chippewa customs but ends up being lost in a blizzard. The novel represents Wilson’s social conscience—the female main characters are friends despite their racial and ethnic differences. Similarly, in The Hundred Steps (1958) Wilson breaks down social class distinctions to show the goodness of all the townspeople. Oddly, Wilson decided in The Hundred Steps to name the town Clifton, despite the Hundred Steps having been mentioned earlier in Deborah Todd where the town is Henry’s Bend. Wilson would write several more novels including Singamon and Always Anne.The novels are today out-of-print, but they retain their charm and most of them are available to be checked out at the Peter White Public Library. 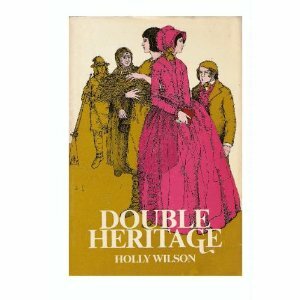 Double Heritage, Holly Wilson’s last novel, was published in 1971 and tells the story of eighteen-year-old Emily, whose Indian heritage, the Black Hawk War, and a cholera epidemic seem destined to prevent her marriage to the son of one of Detroit’s aristocratic French families. Wilson was honored in 1965 by attending a dinner for Michigan Artists and Writers hosted by Governor Romney. In 1967, she received the University of Michigan Sesquicentennial Award for her contributions to children’s literature. By 1970, she was an assistant professor of English at Ferris State in Big Rapids, Michigan. Her last book, Double Heritage, was published in 1971. 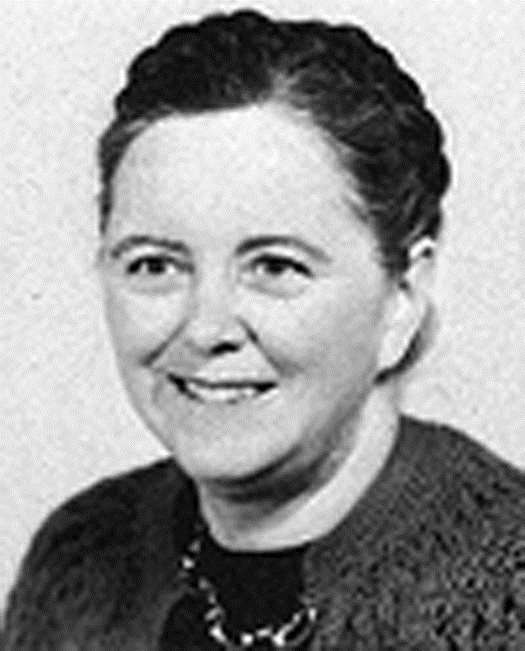 Her husband’s career as a psychiatrist would result in Holly Wilson living in Kansas, Pennsylvania, and New York as well as Traverse City, Michigan, but she always remained close to Marquette until her death in 1980. Her children also stayed connected to Marquette, and her daughter, Dr. Mary Helen Martin, and her husband, Willard Martin, would return to Marquette to live in the family home. Dr. Martin served as the Director of Mental Health at Marquette General Hospital for over thirty years. She died in 2009. More information about other Marquette authors and historical homes can be found in my book My Marquette, available at www.MarquetteFiction.com. You are currently browsing the MY MARQUETTE weblog archives for November 2012.